Side project by Jonas Renkse and Fredrik Norrman from Katatonia which continues more or less where Katatonia left off with 'Brave Murder Day' and 'Sounds of Decay'. 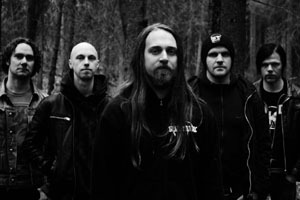 Melodic death metal turned doom; depressive guitar-led songs with deep grunts and harsh screams. The first album 'Rain Without End' is a little more atmospheric due to the use of a violin whereas their later albums have more of an emphasis on the Melodic Death Metal influences. A must for any fan of older Katatonia, as well as Rapture and Daylight Dies. Interview with October Tide (2018-03-25).